Earn $6.59 in VIP credit. Click to Learn More. A handmade Italian tire at an approachable price. The Corsa Clincher is tough enough for the abuse of everyday training but quick enough for worry-free racing. Calicot puncture protection belt keeps sharp objects out, while a 320 TPI casing provides an amazingly supple ride quality. 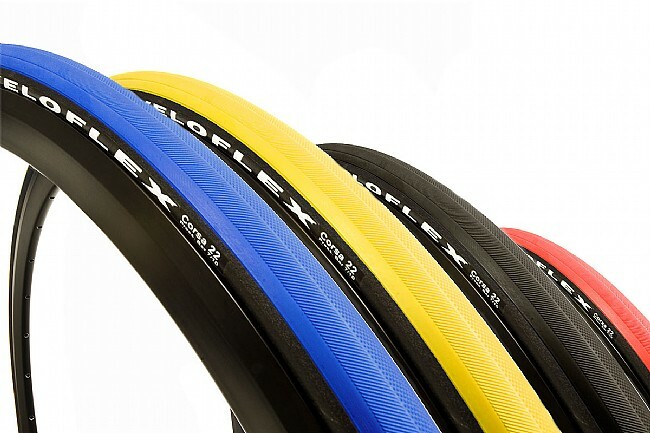 Specialized rubber compound and diamond tread offer excellent grip for confident cornering. Black sidewalls set it apart from its sister model, the Master clincher. Fantastic tires if used correctly! I've been using the 25mm for about 2 years. They are really supple and certainly give a tubular like ride when paired with a latex tube and you can really rail corners with them. I weigh 155 lbs, ride them at 85 - 90 psi and have had very few flats (and most of the flats that I've had were due to debris that would flat any tire.) They are soft and they will get cuts in them, most of which have little effect. I also replace my rear tire twice as much as the front if I use them for training because it will wear out much quicker. Use these as your race tires and you'll enjoy them for a long time. If you use them as a daily training tire you need to understand that they are going to wear out much sooner than many other tires because ITS A 195gr RACING TIRE! Don't get pi**ed if they don't last as long as your Specialized Armadillos. 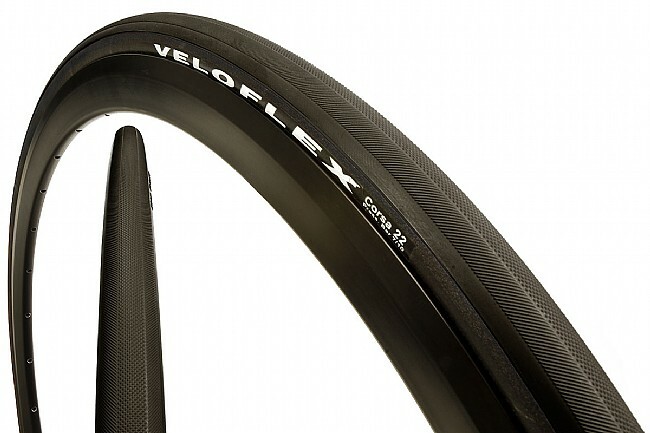 My guess is that most people over inflate their tires which,in my opinion, is a big no-no with Veloflex. IF you are a heavy rider or tend to bash through everything on the road you should probably choose something a little more sturdy. I really liked the way the tires ride. Unfortunately they don't hold up well to the roads in Oklahoma. After just 400 miles of riding I started experiencing flats on a regular basis. Although I gave a 2 star rating on price its not because they cost too much but if I'm replacing them after 400 miles than the cost efficiency is poor in my opinion. I liked the ride but I wont buy them again due to the poor durability. Bought them for the ride quality, impressed with durability. Four tires, two seasons, no flats. I now hoard them.